There is no question that he is not Catholic and only the willingly blind cannot see this. 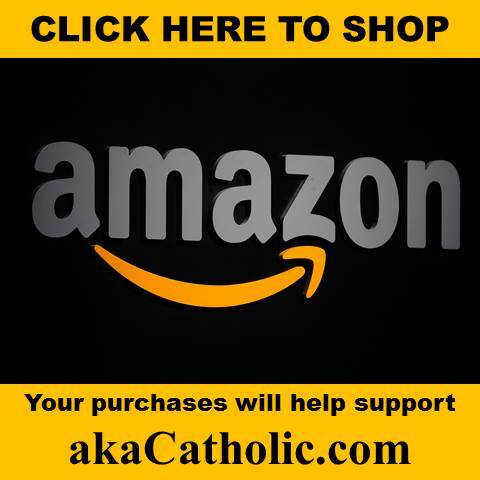 However, we know the most important question we should ask is am I Catholic? Katherine.I agree with you about Bergoglio and his Heretical form of Catholicism.I have got to the point that i can’t stand the sight of the man.As a Catholic,which i am,i find him offensive and downright nasty and belligerent.However he is here for a reason and his downfall will be swift as his Conciliar experiment of Heretical Vatican 11 hits the end point of The Bergoglio Heresy.His Pontificate has brought to the the top of the swamp all of of the slimy progressives who have laid low for years but now we see them rise to the top of the swamp.Drain the swamp and get rid of them.Thats the reason we have to suffer him-for now. Heretical Catholicism is a self contradiction. The Church is the congregation of the Faithful. The profession of the true Faith is a non-negotiable condition of membership in the Church. If someone professes heresy, he is not a member of the Church. “Actually only those are to be included as members of the Church who have been baptized and profess the true faith, and who have not been so unfortunate as to separate themselves from the unity of the Body, or been excluded by legitimate authority for grave faults committed.” Pope Pius XII, Mystici Corporis 22. Well, Judas was here for a reason and so is Bergoglio! In all honesty I find the fact that Jorge Bergoglio is the one who has officially declared these precious little seers of Fatima to be saints.There must be something in all of this for us to ponder….sadly at this moment I can think of nothing, although I am filled with a deep sorrow for the Church and for all the people who have lost their souls and will continue to lose their souls because of the Apostasy of VII and the disobedience of the Heirarchy to consecrate Russia to Her Immaculate heart. I pray for the Grace from Our Lady to pray with more fervor and to obey the requests to the letter that She has asked those of us who will listen. Is the Church of Apostasy the same as the Church of Jesus Christ? Paul VI talked about the “auto demolition of the Church”. That’s heresy. The Church is a supernatural institution and always bears good fruit. 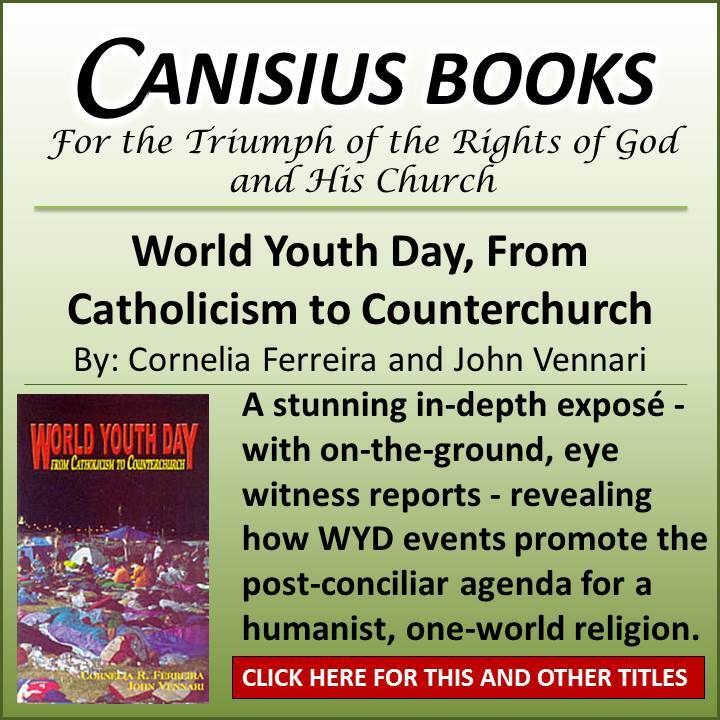 Paul VI founded the Church of Apostasy, the “Church of the Council” as he called it. He instituted a new council, new theology, a new calendar, a new mass, new rites of sacraments, and a host of other novelties. Popes don’t do that; the Church doesn’t do that. If he could do all that and be the Pope, then he was as much a pope as St Peter or St Pius X. 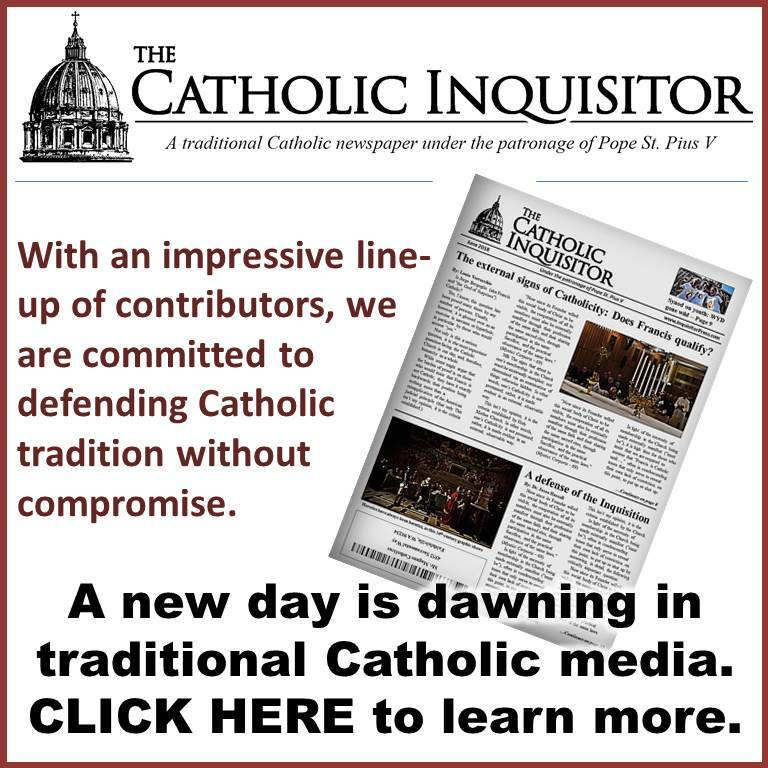 If the Church and the Papacy do not change, because they are Divinely constituted, then what is the point of any of it, if we admit that it’s all susceptible to being blown over at whim? No, we have to cut Paul VI and his successors loose from ever having held this Office, and reject everything they stood for. It is distressing to even write that, but what alternative is there? Either the Church is everything she claims to be, or she isn’t. 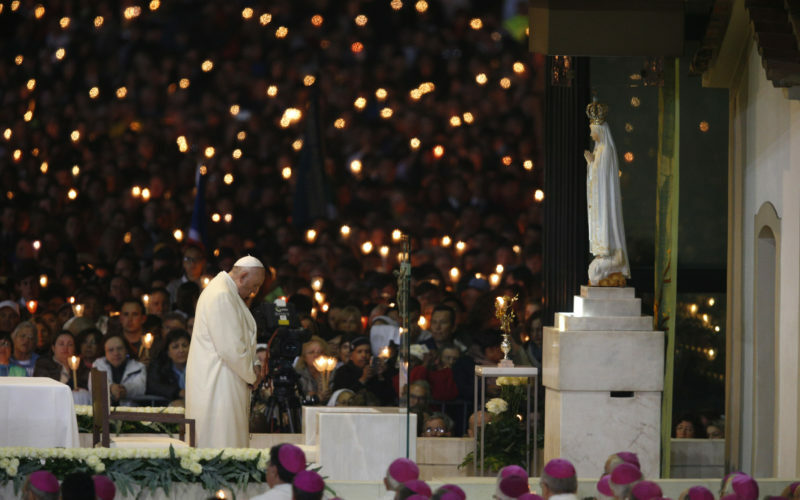 Did Bergoglio canonize the two Fatima seers in order to create some kind of Modernism balance when he celebrates Luther’s “Reformation”? Nothing he says sounds right. It’s always off. That’s the only predictable thing about him. 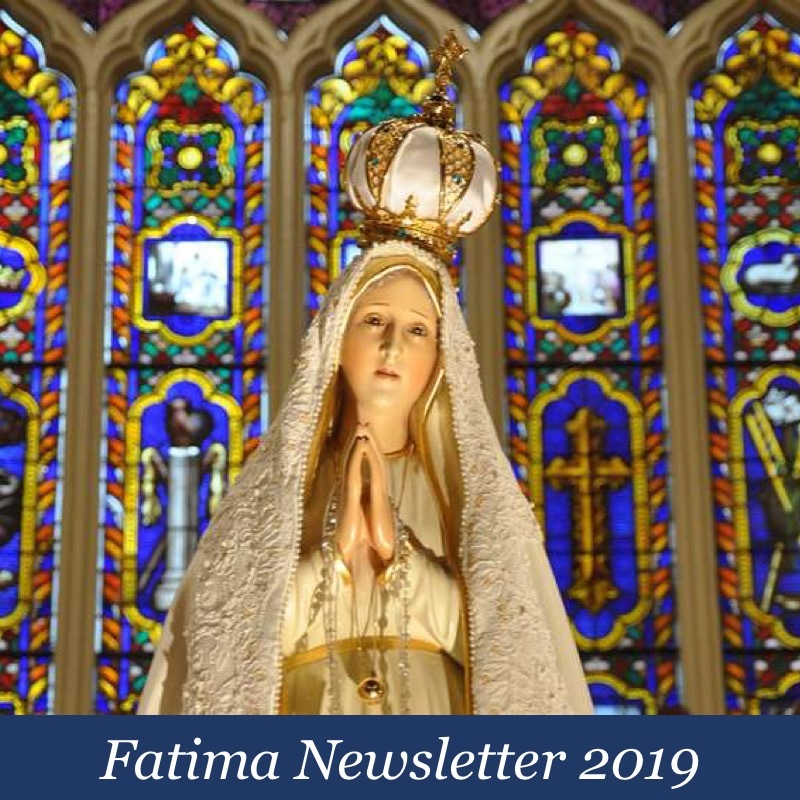 That does not sound like Our Lady, but this is what he sees as his role, to tear down any traditional notions we may have about many things, Our Lady and Fatima included. This is delightful fun for him. 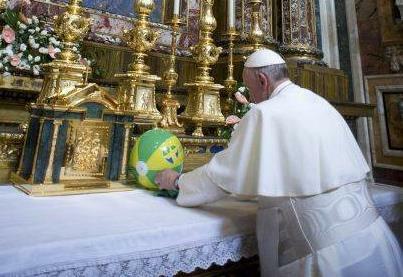 As he said “It’s fun to be pope!”. He claims the office when he wants to. But he’s got a solid bully pulpit, almost ultimate power, and despite his even admitting he didn’t write his own words, Catholics the world round are listening to him with rapt attention, and we find in our local NO church, his words will be quoted, with and without enthusiasm. This stuff that he said, he did not even write. Why do we bother having a pope, if he has a speechwriter who’s copy he just reads the day of? Who are we really hearing? Did he seriously not have time to write his own talking points for this important day when two little holy seers were canonized? I dreaded his participation in this event. I don’t know what to think of the reality that he was allowed to be involved in this at all. I love those little seers, and am glad my Internet was out for the week. Aside from all the pageantry on display, I think we were looking at satan’s last laugh at Mary who on the 100th anniversary, thinks he was victorious. It is amazing that it took the Church 100 years to canonize two children who had already been given the formula of canonization from the lips of Mary herself. It’s time to take the next step using common sense and logic and state the truth that a non-Catholic cannot be a true pope. If that was the case, Judas could have easily been chosen instead of St. Peter to lead the Church but that is ridiculous and no one in their right mind would suggest it. Yet, that it is also ridiculous for those who point out the obvious that Francis is not only not a Catholic, but I claim is a Judas, and yet will not state that he cannot possibly be a true pope. Oh, yes. The protestant Mary. How human she was, the mother of many, sinner like the rest of us. Nothing really special about her at all. Why, the bible says that Jesus didn’t appear to her after the resurrection so that means he didn’t. Seems to me that the bishop in white thinks this way. Only problem is that its a demonic lie and those who believe as such are going to hell. The truth is what the real Catholic Church has always taught; That she was a singular creature, sinless from the moment of her conception till death. The one and only. As the poet says, “Our tainted nature’s solitary boast”. Is there any doubt whatsoever that the abomination known as Vatican 2 with it’s unleashed apostasy, heresies, practices, abuses and abusers would trigger the anger of God? 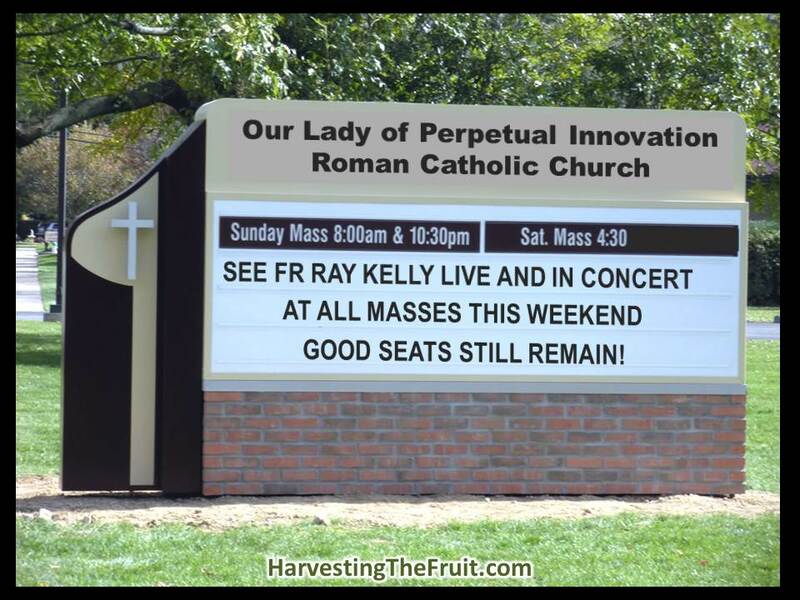 In the meantime, we must remain resolute in receiving the sacraments, praying the rosary, fasting, doing penance. It is imperative to remain faithful no matter what. We have to make it our business to stay alerted and informed while persistently pushing back and strongly resisting this outrageous nonsense with any of Satan’s patrons, whenever, wherever to whomever we encounter them. I am confused with the issue of God’s punishment. Most of our suffering is a direct natural result of our poor choices. When it comes to Bergolio, is he the instrument of punishment that God sends our way or is he a natural consequence of the modernist revolution? I have a hard time believing God would punish His people with the instrument of our salvation, His Holy Church. I get upset when I hear people say His Holy Church is punishing us. We are definitely being tested and we certainly do not have the support of an institutional church that our forefathers enjoyed. I think its blasphemous to call His Holy Church an instrument of punishment. It is the ark of our salvation. If what we think is the Church acts contrary to how His Holy Church acts, then it cannot be His Church.